Carlson Erie has sixty years of experience in designing, fabricating and installing a variety of different styles of tanks. With both metal and plastic fabricating departments, we have the flexibility to manufacture tanks from an extensive range of materials. Polypropylene tanks, carbon steel tanks and stainless steel tanks are the most common, but many other tank materials are available. 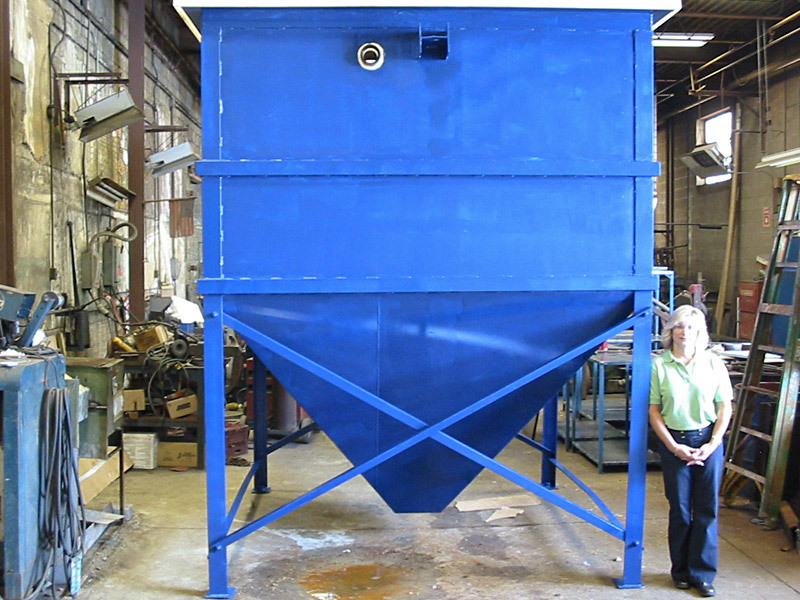 The plastic tanks offered by Carlson Erie are manufactured by qualified plastic fabricators. Our metal tanks are also manufactured by qualified metal fabricators to ensure the best equipment quality and performance. With in-house machining, assembly, electrical equipment, piping, sandblasting, polishing, painting and CNC routing capabilities, we can ensure to help minimize the cost of fabrication. In addition to fabricating new tanks, Carlson Erie will repair and modify existing tanks. This can be done in our shop or at your facility, depending on the circumstances. Carlson Erie manufactures above ground storage tanks, but not underground storage tanks. There are many advantages of above ground storage tanks versus underground storage tanks. Above ground storage tanks are much less expensive to construct and install while also involving lower pollution insurance premiums due to the decreased risk of groundwater contamination. With above ground tanks, there is no need for excavation or special backfull materials. They are also easier to repair because visual inspection is is possible for a more reliable leak detection. Since they are subject to less regulatory requirements, there have low maintenance and record-keeping costs. 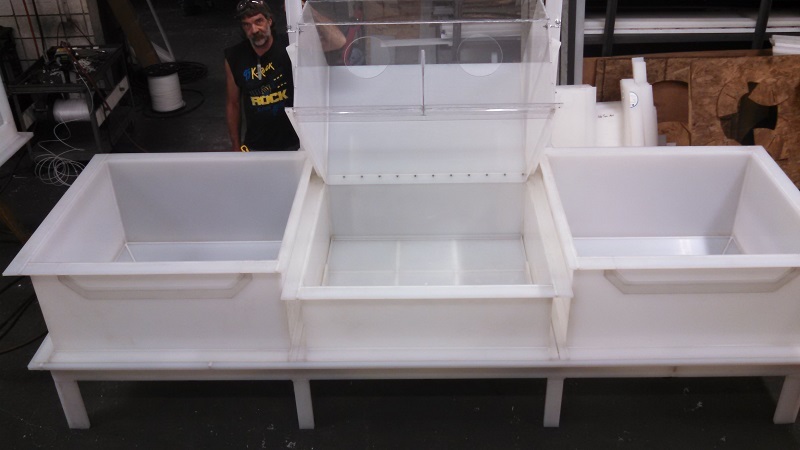 Request a free quote for your next tank from Carlson Erie Corporation today!